If you’ve been following me for a while now, or know me personally then you know that self care is something I find to be very important. Whether it be a spa day, getting your hair or nails done, reading a good book, relaxing, or taking a hot shower/bath, it’s always on my to-do list. Sometimes, we can get lost in life and forget to take care of ourselves, but I’m here to remind you that you should always put your health before anything else, always. A face mask, glass of wine and a hot bath is something I do on the reg, probably 2-3x’s a week. If you can’t find me in my house, I’m probably in the bath tub with an avocado and oatmeal face mask on. Besides wine and face masks, another bath time essential for me is my body sugar scrubs. I love exfoliating my skin. Sugar scrubs help take off the dead skin from your body, leaving your skin feeling super soft and glowing. 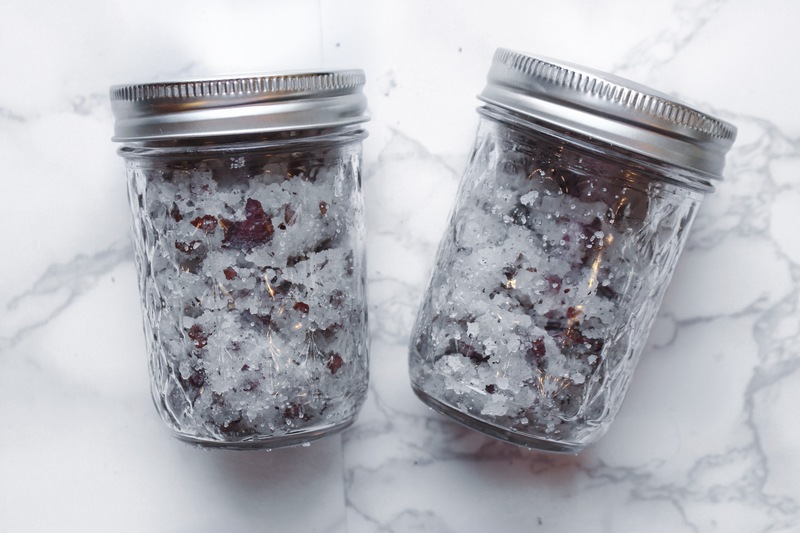 Another great thing about body sugar scrubs is that they are extremely easy to DIY! I have never bought an actual sugar scrub from a store, I always make them myself! I enjoy doing this a lot, I even make them as gifts for my friends and family. Plus, then I know exactly what ingredients are being put in it. I have made several body sugar scrubs in the past, and have received great feedback on all of them. This post is going to be another body sugar scrub recipe. I am super excited to be sharing this one with you, for it involves rose petals, which I think is fitting since it is spring after all! 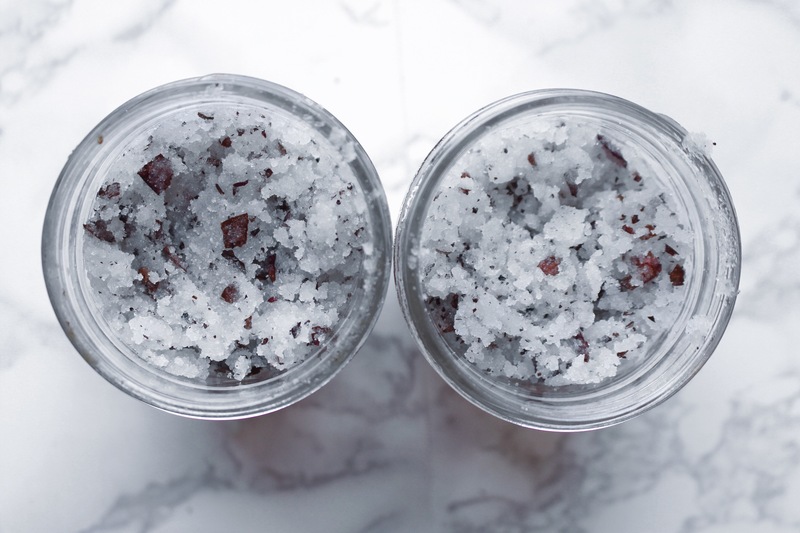 Let’s get into this beautiful body scrub recipe! 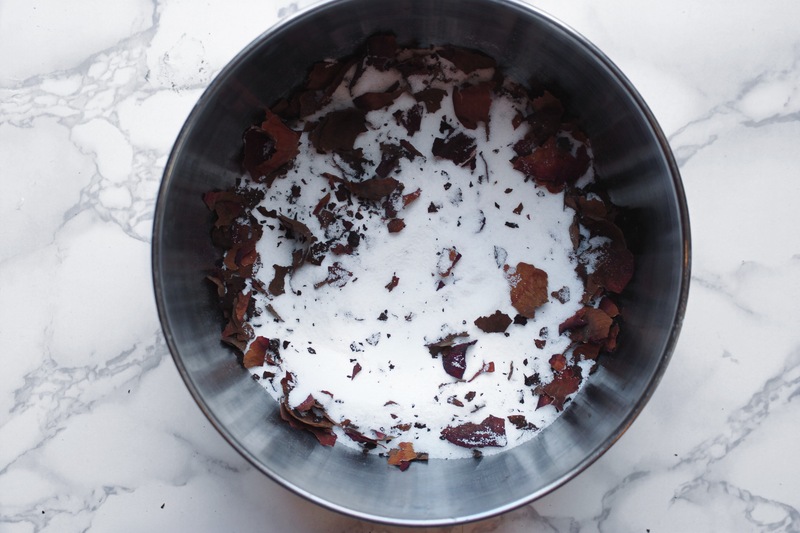 Combine sugar and dried rose petals in a large bowl and mix with the spoon. Add in the melted coconut oil, and rose oil, and mix until scrub forms (you may need to add in more sugar if mixture is too watery, add in 1 tbsp at a time). 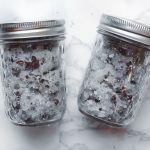 Using a spoon, pour sugar scrub into mason jars and tightly seal. Enjoy your beautiful Rose Petal Body Sugar Scrub! This is probably my new favorite body sugar scrub! It smells absolutely amazing. I mean, why wouldn’t you want to smell like roses! 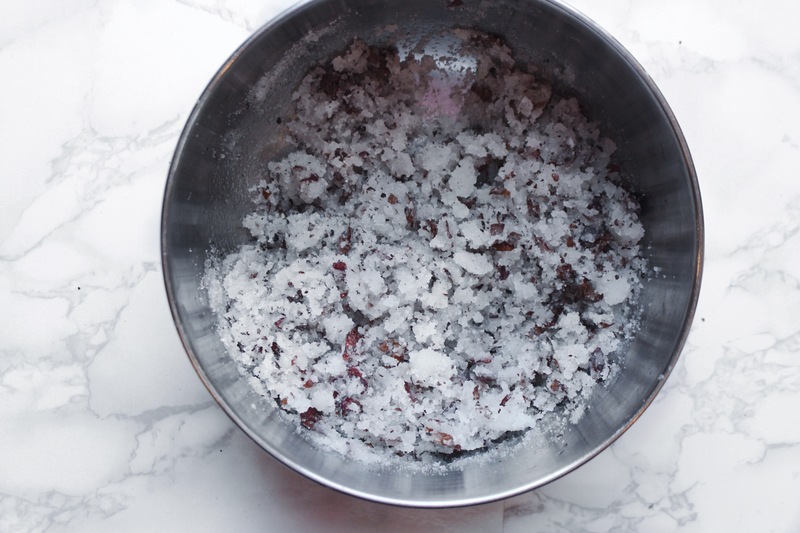 See how easy a body sugar scrub is to make? Think about that the next time you plan on dropping $10+ on one in a store. Thank you for reading and I hope you enjoy your new Rose Petal Body Sugar Scrub! It is!! So easy to make too! Thanks girl xo!